"For I was hungry, and you gave me something to eat; I was thirsty, and you gave me drink; I was a stranger, and you invited me in." Our members are encouraged to place a nickel in a container on the table for each meal they eat. One person would place 15₵ in it each day. On the 3rd Sunday of each month, we collect the coins during the Children's Moment. These donations are given to Carroll County Food Sunday & other local groups who feed those in our community. ​Carroll County Food Sunday is a non-profit organization that supports Carroll County residents in meeting emergency and supplemental food needs. The program aims to sustain health, good nutrition and energy, raise human potential and do so in a manner that enhances human dignity. ​This is a non-profit group started by a number of local churches (including our own) to help those in need in our community. They offer assistance with food, clothes, cleaning supplies, diapers, furniture, school supplies and provide a space for laundry and showers. The Brethren Service Center in New Windsor, houses organizations that work in areas of relief and development, disaster response, social justice, and peace education. The campus includes the New Windsor Conference Center, Brethren Disaster Ministries, Material Resources, SERRV International, Inc , On Earth Peace, and IMA World Health. ​Although we are not located in a convenient area for a soup kitchen, we provide a free mid-day meal once a month at another location. Food, companionship, and a sense of dignity and caring are offered to many of our homeless neighbors through this ministry. 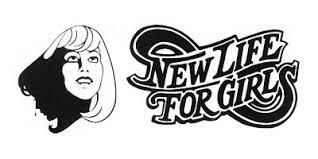 New Life For Girls is a non-denominational Christian discipleship program which endeavors to meet the spiritual, emotional, and physical needs of women and children trapped in alcohol and drug addiction. ​The Presbyterian Home of Maryland is a premiere assisted living community nestled in the beautiful Southland Hills neighborhood in Towson, Maryland. This community offers independent and assisted living as well as a newly renovated health care facility to people of all nationalities, color, race, sexual orientation, handicap and religious affiliations.